But I concede the point – it’s impossible to describe what I felt watching the film – it vividly brought to life the idea of sacrifice, of the suffering of the innocent, devastatingly tied to Chambers’ own personal battle with leukemia – the disease which eventually took his life at the age of 47. You have to see it to experience it. So I was very pleased to see that the Art Gallery of Ontario has put together Jack Chambers: Light, Spirit, Time, Place and Life, a retrospective of not just Chambers’ experimental films but his beautiful ‘perceptual realist’ paintings. 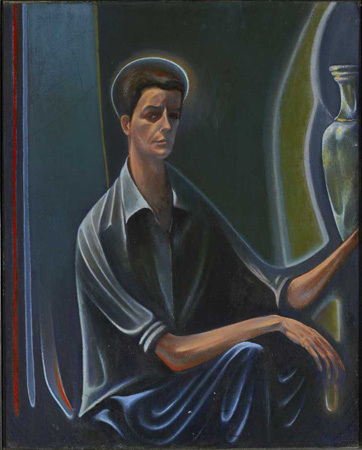 For an exposition of not just the significance of Chambers’ work in the context of Canadian art but a brilliant exploration of how religious (specifically Catholic) themes inform his work, read this beautifully written, deeply insightful article by Sara Angel at The Walrus. The connection between Chambers and Caravaggio is fascinating; the discussion of the epiphanic experience that led to the painting of 401 Towards London No. 1 is equally scintillating. Being a Southern Ontarian, I can definitely relate to that experience of the sublime looking at the vast sky over the 401… especially in the cold winter, awareness of those “empty spaces” can be a near-religious experience. Jack Chambers: Light, Spirit, Time, Place and Life runs until May 13, 2012 at the AGO – so I’d better stop talking about it and go see it! 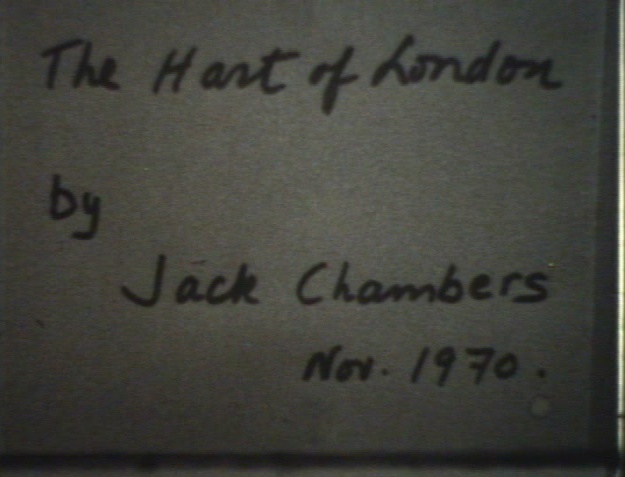 Hart of London screens at 7:00 on January 25, and a collection of Chambers’ other short films on January 18. Both screenings are free (! ), and will be introduced by R. Bruce Elder, another venerable Canadian alternative filmmaker from the grand old tradition of all things sublime and hand-processed (as in celluloid).